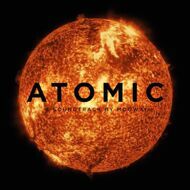 Mogwai release their stunning soundtrack to the documentary by prolific director, Mark Cousins; Atomic: Living In Dread and Promise which was aired on BBC Four last summer. The soundtrack has been especially re-recorded for release at the band's Castle Of Doom Studios in Glasgow. Guest appearances on the album come from occasional band member Luke Sutherland, Sophie and former The God Machine's Robin Proper-Sheppard and Glasgow composer Robert Newth. As with their soundtrack to the Zidane documentary, the band will be performing this soundtrack live at dates across the world throughout 2016. C3. Are You A Dancer?